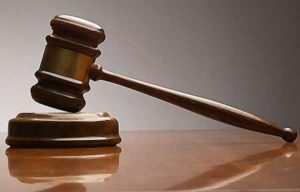 Medical Malpractice Help » Medical Malpractice Causes » Do I Have a Case » Who Can Be Sued For Medical Malpractice? You can sue a doctor, nurse, hospital, or another healthcare facility for medical malpractice. What If I Suffered Harm Because of a Medical Device or a Prescription Drug? 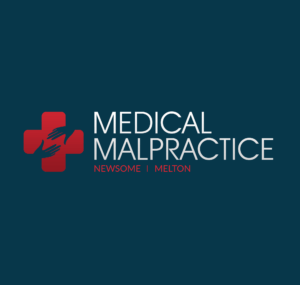 What Do I Have to Prove If I Sue Someone for Medical Malpractice? How Can I Talk to a Lawyer About Filing a Lawsuit? When you hear that someone has filed a lawsuit for medical malpractice, you might assume that the defendant is a doctor. However, you can file a lawsuit against someone other than a doctor if they harmed you by committing medical negligence. Your state’s laws will determine which medical professionals and healthcare facilities can face lawsuits for their actions. If you are considering filing a lawsuit, the attorneys at Medical Malpractice Help can help you determine if the liable party can be sued for medical malpractice. Call us at 855-633-2757 to set up a free consultation about whether your case qualifies for a lawsuit. Most healthcare professionals could face a lawsuit if we can determine that they committed medical malpractice. Medical malpractice lawsuits frequently focus on physicians. If you suffered measurable harm from a doctor’s medical negligence, you can file a claim or lawsuit for malpractice. For example, if a doctor fails to diagnose a medical condition that another reasonable physician would have identified, the patient could file a lawsuit and request economic and non-economic damages. Some states allow you to sue a nurse in a nursing malpractice case. In other states, however, you must sue the doctor or hospital. A nurse could commit malpractice if they harmed someone by failing to perform their duties as a competent nurse typically would in the situation. Examples of nursing malpractice include giving a patient the wrong medication, or not taking prompt action when necessary. Warning the patient of possible side effects of the drug. When a hospital employee harms someone through negligence while doing a job-related medical task, you can sue the hospital. Nurses and medical technicians can create legal liability for the hospital. A hospital can be liable if it allows obviously incompetent people to have staff privileges. If, however, the person suffers injury or illness from negligence that is not medical, the claim will be for standard negligence, not medical malpractice. For example, if you get food poisoning from the hospital cafeteria, you might have a negligence claim, not a medical malpractice case. Even though urgent care centers do not provide the same level of trauma care as an emergency room, these facilities can be liable if they harm someone through medical negligence. Failure to follow up on a patient. You might be able to sue other parties if you suffered adverse effects from a prescription drug or a medical device. The legal theory under which you can sue, however, sometimes is not medical malpractice. Sometimes a patient has an adverse outcome because of a medical device. For example, many people who had hip replacement surgery experienced failure of the devices, tissue damage, and allergic reactions to some of the component parts. In a case like this, we might be able to sue the device maker, the surgeon, or both parties. If the device was defective, we can sue the manufacturer under the legal theory of products liability. If the medical community knew there were problems with the components, but your surgeon used the parts anyway and failed to warn you of the risks, we can sue them for malpractice. Some prescription drugs have dangerous side effects, like blood thinners that can cause severe internal bleeding. If you suffered harm from a medication side effect, we might be able to sue the drug maker for putting a defective product on the market. If your doctor knew or should have known about the side effect, did not warn you of the risk, and prescribed the drug to you, we can sue them for medical malpractice. For a medical malpractice action, you must establish that you were a patient of the liable party. You must also show that you experienced measurable harm because they violated the standard of care. If you think that you or someone close to you might be the victim of medical negligence, the lawyers at Medical Malpractice Help will be happy to evaluate your claim to see if you have a case. We do not charge you any legal fees until you get compensation. Call us at 855-633-2757 to schedule your free, no-obligation consultation.